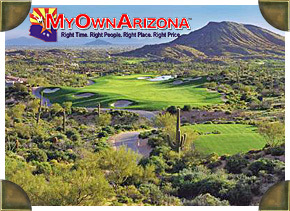 Welcome to the online MyOwnArizona team presentation of Luxury Homes For Sale in Desert Mountain Scottsdale. Search our collection of the finest Scottsdale luxury homes, estates, and land for sale in the North area. The City of Scottsdale has some of the finest luxury homes and estates available in the entire country. The Scottsdale luxury real estate market benefits from one of the largest and fastest growing metropolitan area’s in the entire region. The Scottsdale area boasts plentiful luxury shopping, dining, and outdoor opportunities, which are listed for your convenience in our Scottsdale Luxury Resource Guide. Please contact us to receive the luxury packet on Desert Mountain Scottsdale. Desert Mountain, designed by founded Frank Lloyd Wright architecture firm, developed the master plan for this traditional 8,000 acre private gated Scottsdale Arizona golf community, featuring an original six Jack Nicklaus Signature resort golf courses at 3,000 ft high in the unforgettable Sonoran Desert territory of northern Scottsdale. This member-owned Scottsdale community encompasses an outstanding gallery of North Scottsdale custom homes designed by renowned architects, along with an array of Desert Mountain club amenities that includes first-class golf, tennis, swimming and fitness facilities and a Desert Mountain golf performance center. The Desert Mountain real estate borders the austere landscape of Tonto National Forest, with serene entry to the City of Scottsdale and downtown Phoenix AZ and nearby restaurants, shopping and nightlife in the Scottsdale, Cave Creek and Carefree city attractions. Desert Mountain custom home sites, artistic estates and plaza homes are available at Desert Mountain Scottsdale location and are set within a group of private villages with exclusive nature to suit a wide variety of buyers with unique lifestyles.